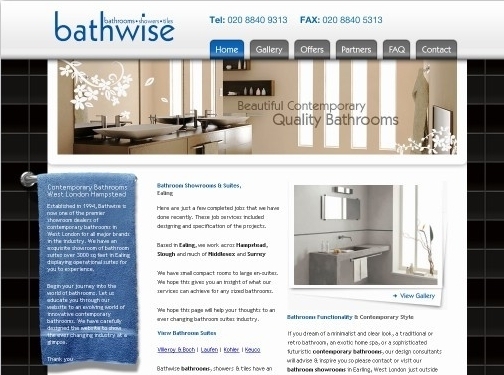 Bathwise are an Ealing based bathroom specialist. Providing services throughout Slough, Ealing, Hampstead and West London they provide a range of traditional and contemporary bathrooms from a range of designers including Villeroy, Boch, Laufer, Kohler & Keuco. UK (Ealing) based company - established in 1994 and with highstreet showroom - providing bathroom design services. Website includes details of services provided, photo gallery, FAQs, full company contact details.